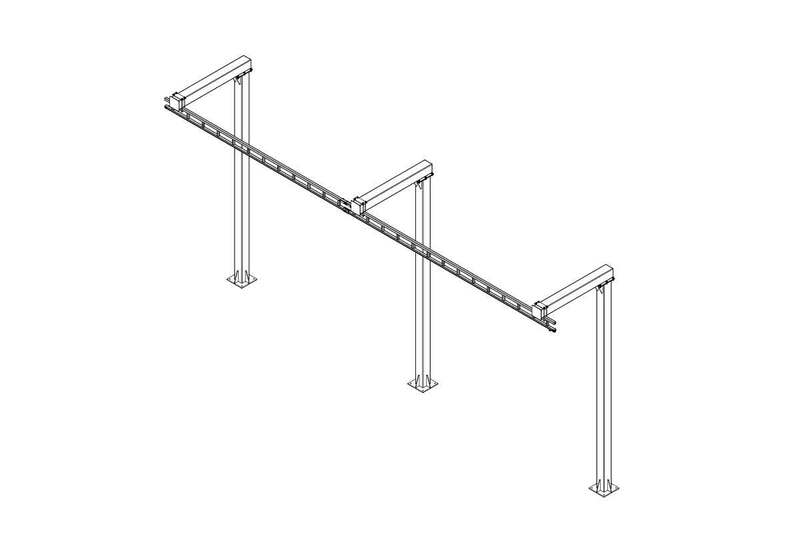 INVERTED 'L' MONORAIL | Metreel Inc.
MET-TRACK® Free Standing Monorail systems provide independent, permanent fall arrest solutions over long spans in areas where there are no existing support structures. 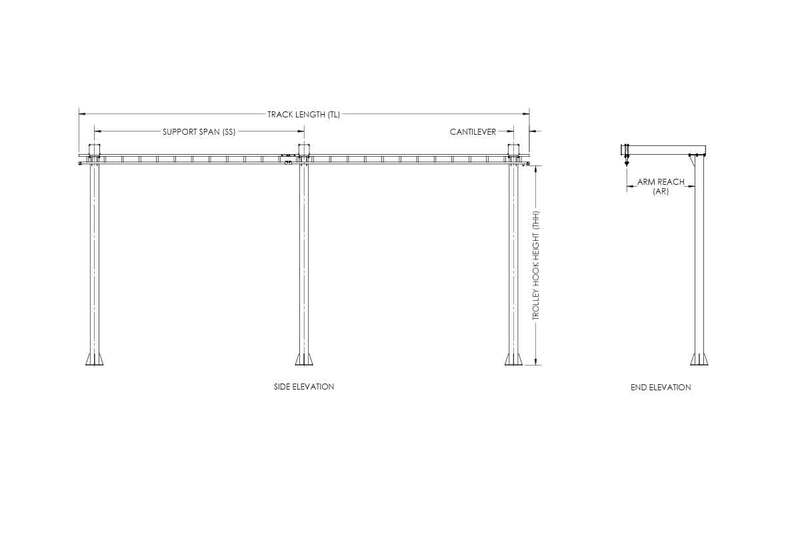 Foundation-mounted, reinforced W-Beam steel columns and arms support the MET-TRACK® monorail at heights of up to 28′. Inverted ‘L’ systems are widely used in the transportation industry working on rail cars, trucks and trailers and are extensively used in outdoor environments.